1. Why did you become an Oriental dancer? I have lived in NY since I was 5 years old. My mother was a pianist, and she encouraged me to study many kinds of dance forms; being in NY, it was a great opportunity to study with great teachers and go to see grand shows even I was very young. I travelled to many countries while I grew up, and my family always visited to see the local art and dance, and I was very interested in how the dancers work in each country. In my school days, I performed as a jazz dancer. My first encounter with live Oriental dance was when my friend asked me if I want to see an Oriental dance show. When I first saw live Oriental dance, I fell in love with the art instantly. The beauty of the dance, the mysterious atmosphere, and the rich music totally captured me. 2. What is the most important thing when you perform Oriental dance? Love for the music and dance. Respect to the event, country, people, and culture. Thankfulness to the people who supported me. If I feel like this, it is natural to prepare costumes, makeup, music, health and condition to be the best. 3. Please describe your Oriental style. My Oriental dance is a mixture of all the dance forms and styles that I have learned. It is like taking the influences together inside me to bloom as a flower of my own color. I love Egyptian style dance and the character of Egyptian dancers, and I love Arabic music. But since I am not an Egyptian, I would not look the same even if I copied the Egyptian dancers. I try to study the authentic Egyptian style, internalize the movement, and then express it in my style. I unite all the dance styles in which I have trained, and try to perform in a way that my small body will look more attractive and interesting on a big stage. But I always take care to study the traditional style, feeling, and historic background. I want to be a Japanese Oriental dancer who greatly respects Arabic music and Egyptian dance. 4. What is the relationship between you and Oriental dance? For me, Oriental dance is a life style. . and “Oriental dance lifestyle”. All the small things in my daily life are connected to Oriental Dance. I have two children, so I wake up at 5am every morning. I see the sun rise, and it is very healing. When I held my child, I would set her on my hip and make hip figure eights. As a mother and as a woman, Oriental dance is very naturally connected to my daily life. My “Oriental dance lifestyle” makes me feel strong, powerful, full of energy, and also full of love for my family. 5. Do you have any advice for other Oriental dancers? I think it does not matter if you are professional or amateur. If one tries to do too many things at once, one cannot progress. It is important to have have a strong focus: “I am working on THIS now!” Even if the steps are very small, by taking one step forward you are progressing; be happy and confident that you are developing. The fact that you are focusing on something wil bring you confidence and strength. 6. What kind of dancer your ideal Oriental dancer? A dancer that keeps on getting better, who takes a step forward everyday, even if the step is very very small. Even if I become 80 years old, I hope I maintain the enthusiasm to study and to progress every day. The history of Oriental dance is long, and one can never learn enough. We are so lucky that we have so many things to learn!! It is so exciting everyday to discover new things!! I want to keep my eyes and heart open and feel the joy of dancing the world’s most ancient dance form. 7. What are you future plans as an Oriental dancer? I want to study and perform Oriental dance in many places in the world and communicate with many dancers and musicians. I want to study more and more about the history and culture of Oriental dance. I hope I can introduce this beautiful dance to many Japanese people, and I wish it would be a dance that Japanese women can enjoy in their daily life. 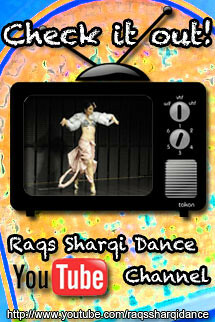 This entry was posted in Japanese　dancer and tagged belly dance, Farasha, Japanese, Oriental Dance, Raqs Sharqi. Bookmark the permalink.